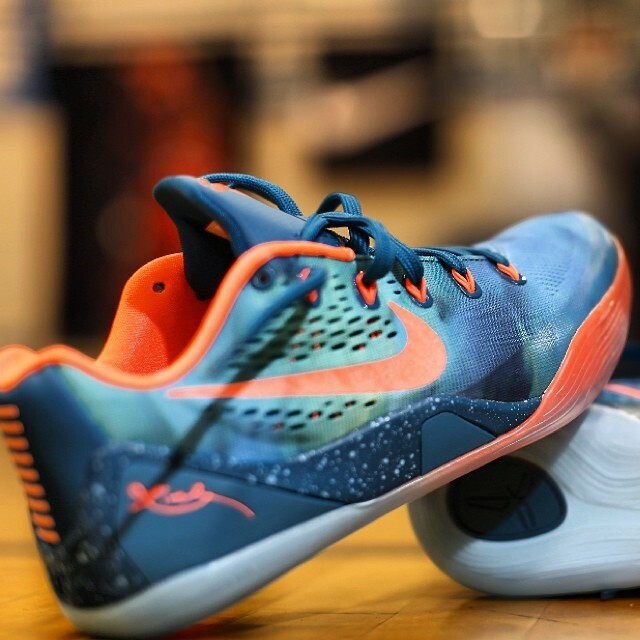 Gearing up for this year's Peach Jam tournament, Nike EYBL introduces an exclusive new colorway of the Kobe 9 EM. 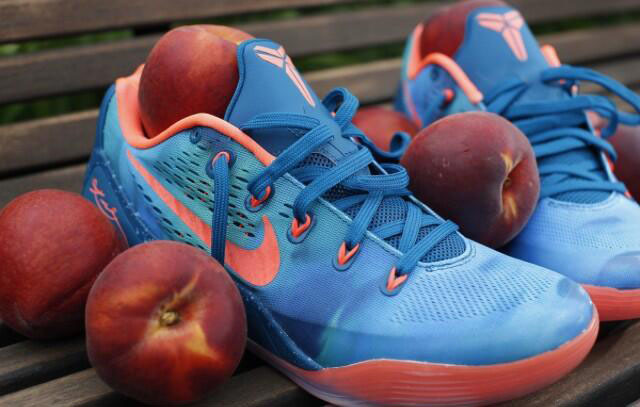 The 'Peach Jam' edition features varying shades of blue on its upper, contrasted by hits of peach on the Kobe logo, inner lining, Flywire, Swoosh branding, signature and toe. Last year, Nike dropped the 'Shooting Stars' LeBron 10 Elite for the Peach Jam. Like that shoe, these will probably remain exclusive to participants.